Early 19thC superb Late Regency/William IV period papier mache oval tray. Early 19th century superb late Regency/William IV period papier mache oval tray, with very classic and elegant band of gilt and jewel toned coloured decoration. Size-17 inches wide by 14 inches deep, with turned over edge. Wonderful to display a drinks set, or to use for serving drinks or food or to just display on its own as a decorative object. A very beautiful and practical item to use and display, in very good condition with no damage. 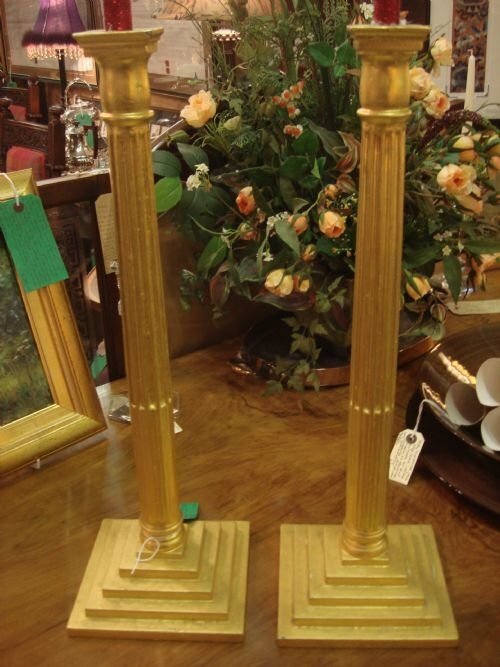 Lovely pair of tall and imposing Corinthian column gilt wood candlesticks. 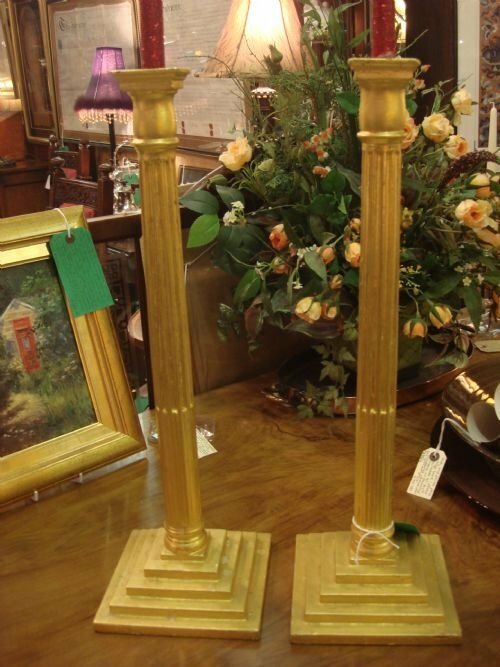 Wonderful pair of very tall gilt wood Corinthian column candlesticks with stepped bases. 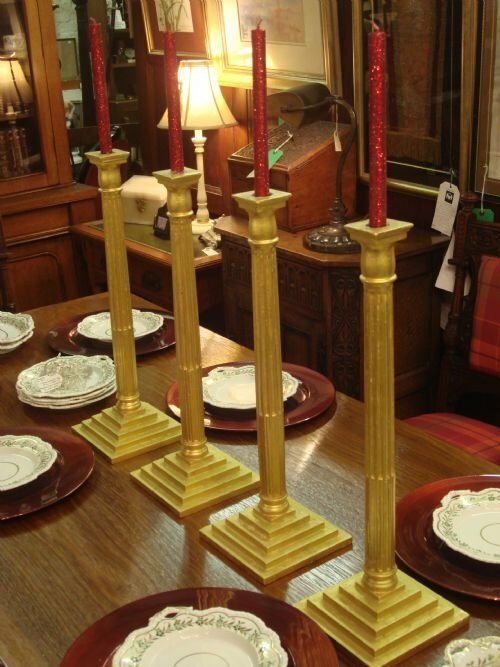 Lovely for dining or hall tables to use for the festive season and all year round. Will hold larger based candles. Size-21.75 inches high by 6.75 inches square each. 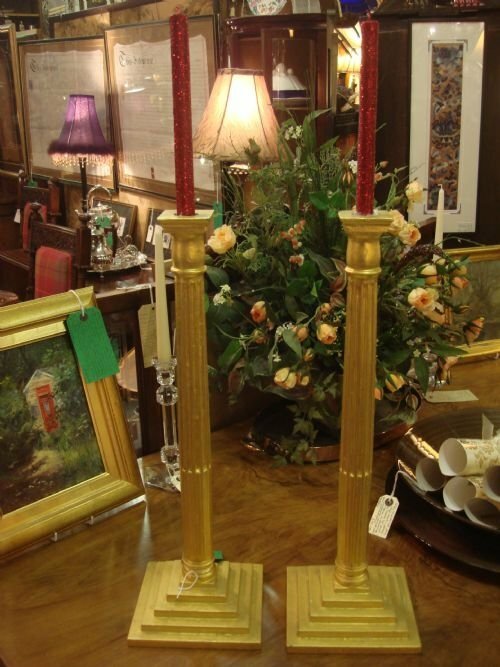 An imposing and elegant pair in very good condition. Two pairs are available if desired, as seen in the last photo. Vintage early 20th century antiques shop sign with original wrought iron hanging bracket. 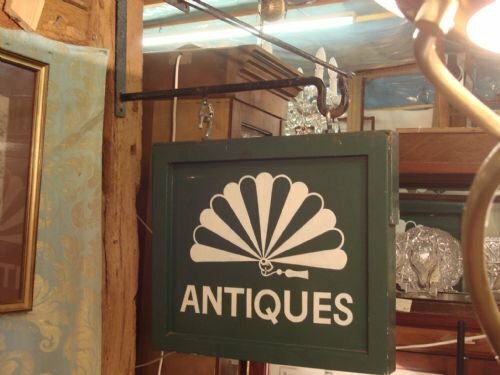 Great vintage wood and iron Antiques shop double sided swinging sign with original wrought iron hanging bracket. 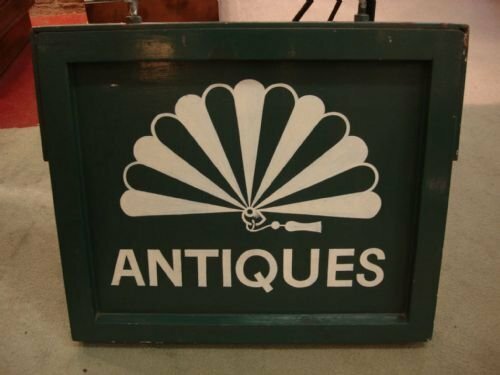 This wood sign with part iron edge is painted with the design of an open antique fan with tassel on a green ground with white accents and the word Antiques. 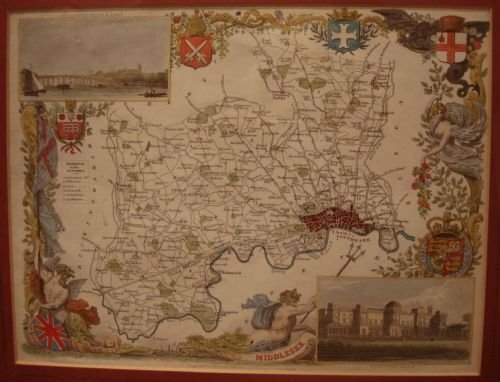 It was found above the front of an antiques shop that had closed in Surrey, England. Size-bracket projects 19 inches out from wall, and is 20 inches across on top and 12 inches on the vertical member. Sign-19 inches wide by 15.5 inches high by 2 inches deep. Total drop from top of bracket to bottom of sign is approximately 29 inches. 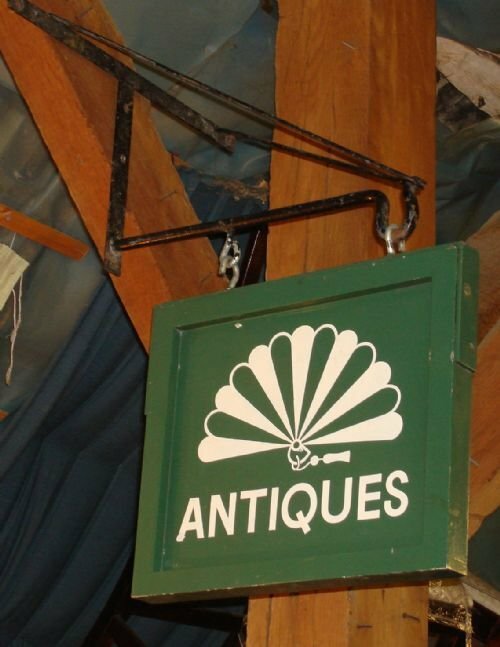 Sign can also be hung from ceiling hooks (instead of bracket) for a shorter drop if desired. 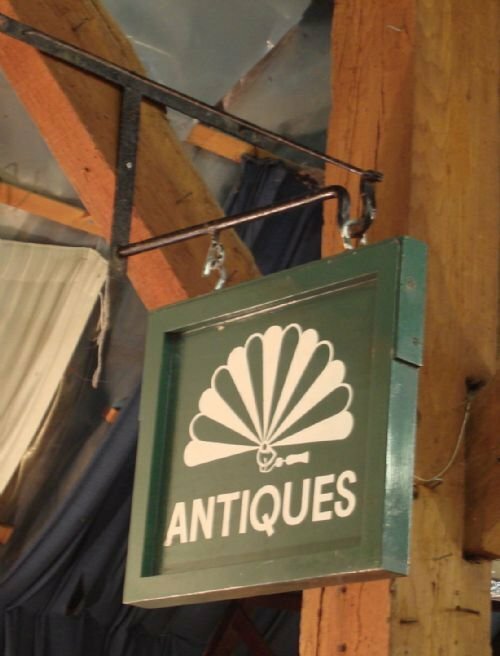 A great sign to use in the home for a great look and talking point, or could still be used for retail if desired. An unusual piece, and very good value. 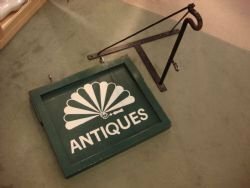 A wonderful opportunity to buy an original vintage sign and bracket. 19thC lovely solid alabaster carved plaque with relief design of putti and lion. 19th century lovely solid alabaster carved plaque having a relief design of 4 putti, one astride a lion, in a scene with trees and branches. The plaque is rectangular, and stands alone upright on a tapered base, or is suitable for mounting on a wall as a central focal point within tiles or alone. Size- 15.5 inches wide by 9 inches high. Base is 1.25 inches deep and top is .75 inches deep. Very well modelled anatomically, and an interesting and decorative piece. A lovely plaque in very good condition. Circa 1962 Rare leather bound huge library sized editon of Bartholomew's 1/2 inch contour maps, and with the original wood box! 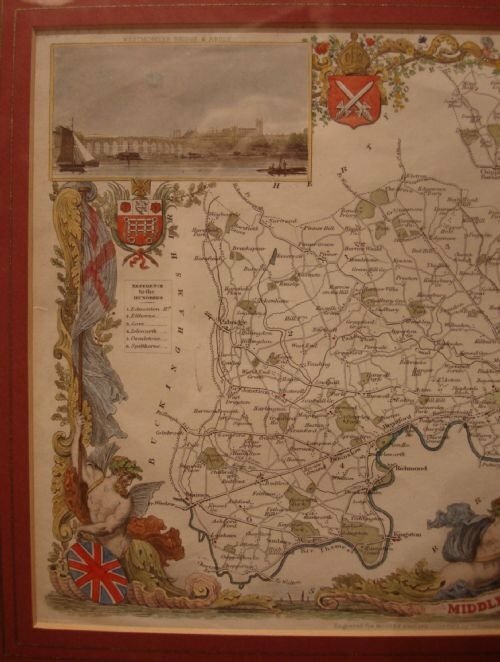 Comprises 62 cloth bound large maps covering two pages each, published by the Edinburgh Geographical Institute, and covering all of Great Britain. A wonderful and educational book in mint condition. I have never seen another. "The good companion for the wise traveller." 24 inches high by 20 inches wide by 2 inches deep. 19thC solid mahogany lazy susan. 19th century solid mahogany lazy susan with moulded edge, turning on a round base with three moulded pedestal feet. Size-16.25 inches diameter by 3 inches high. This useful item doesn't appear very often. Slender and classic carved marble column or pillar. Slender classic marble column or pillar. 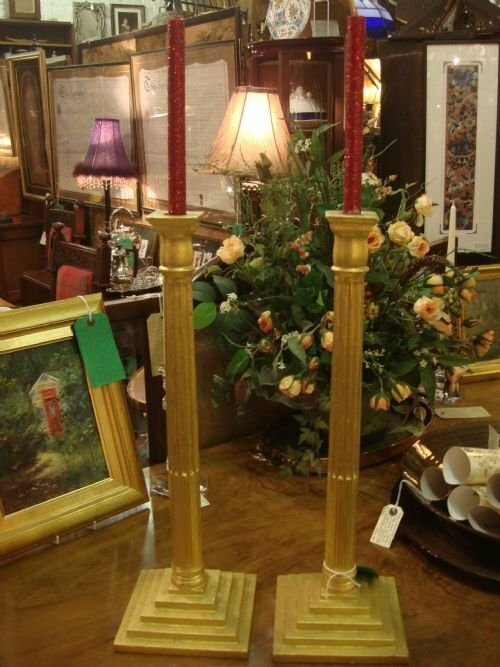 Very suitable to display a vase of flowers, sculpture, bronze or other important piece. Classic shape, and round top. Lovely green veined marble in a size that can fit in any location, or even behind a chair, etc. Size-36.25 inches high, with 8 inch diameter top. 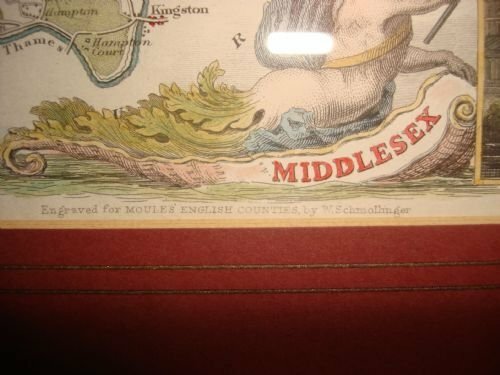 Lovely old beautifully coloured engraved map of Middlesex engraved for “Moules English Counties,” by W. Schmollinger, circa 1830, as per certificate to reverse of frame. 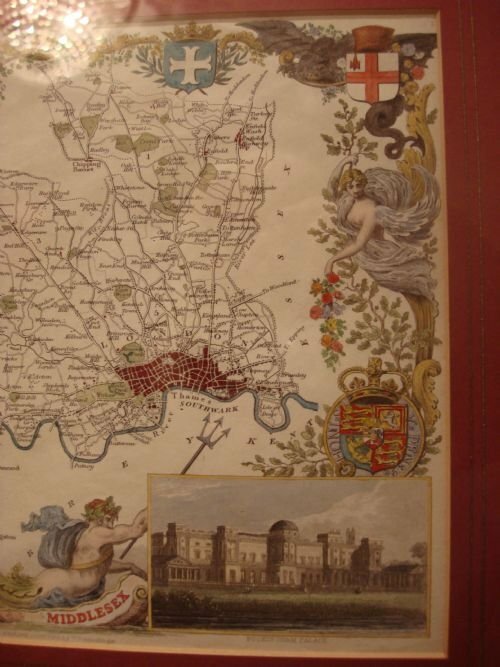 It includes illustrations of Buckingham Palace and Westminster Bridge and Abbey, as well as mythological figures and Royal cyphers. 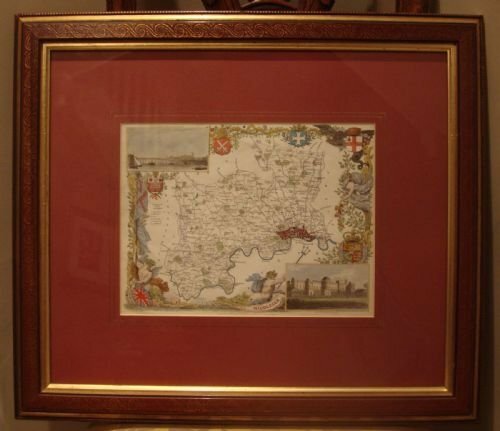 Mounted in gilt decorated glazed wood frame with gilt lined mount. 20 inches wide by 17.5 inches deep (finished frame size). 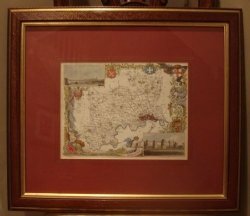 A very attractive map, beautifully framed, and in very good condition. 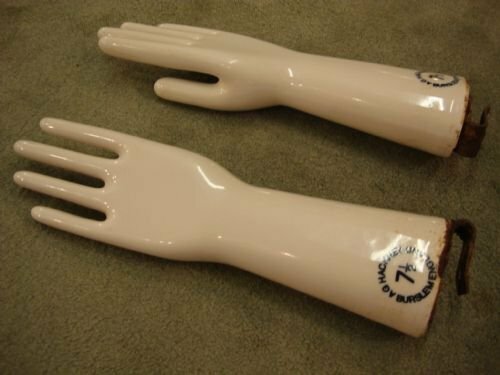 Unusual pair of English industrial ceramic glove moulds. Great for display! Wonderful vintage 1930's pair of smooth glazed ceramic or porcelain white glove moulds or forms. 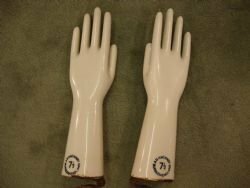 Made in England by the A.G. Hackney company, they were used to make longer length latex or rubber gloves, by dipping them into the mixture and waiting for the glove to cool. 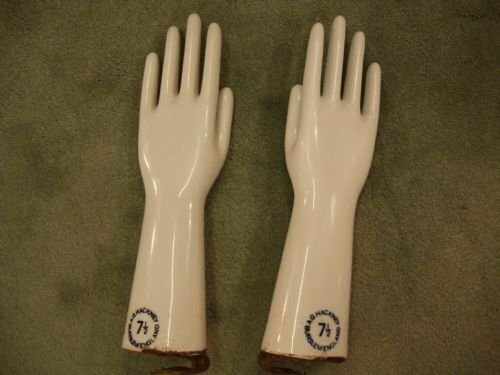 Of an unusual size, suitable for the manufacture of smaller gloves, this is an original pair. They are much more often found as single moulds. They bear impressed numbers as well as the glazed manufacturers marks, and the original iron mounting brackets. Today they make great talking points for display of jewellery or stems of flowers. Mounted horizontally on a wall, they can make a nice guest towel or tie holder. They can also be mounted on a wood or metal base to stand vertically and used to hold photos or menus, or to be a quirky display on their own. They can even be painted. 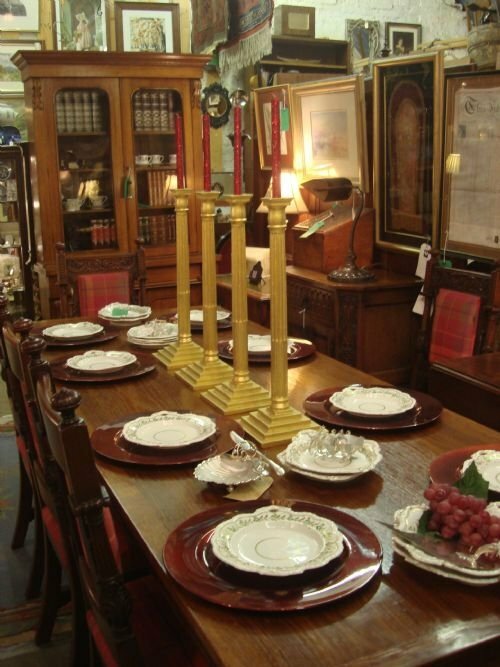 The options are endless, and they will be equally at home in either a home or retail setting. Size-13 inches long by 4 inches wide by 2.5 inches deep. 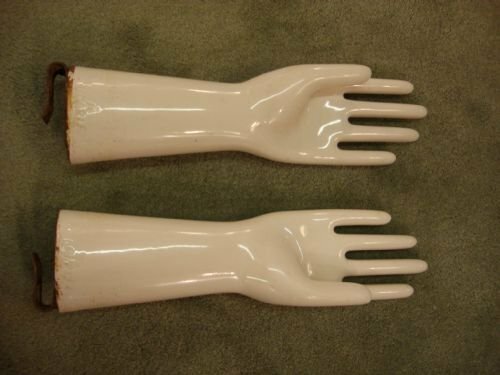 A wonderful and unusual vintage pair of "hands," in very good condition.